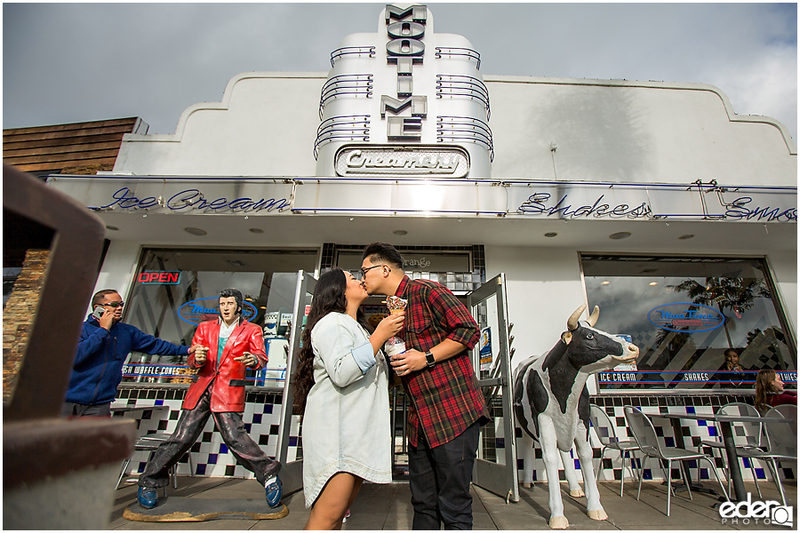 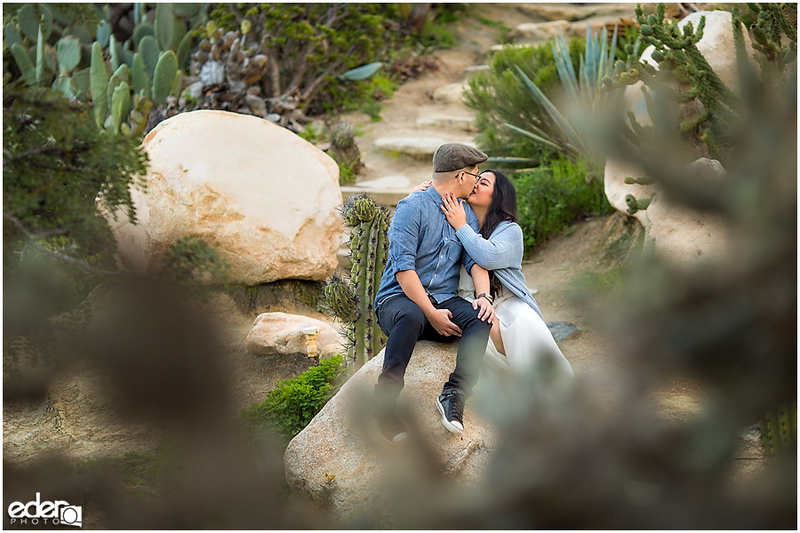 Ariel and Ben had some of the best engagement photos that I have taken. 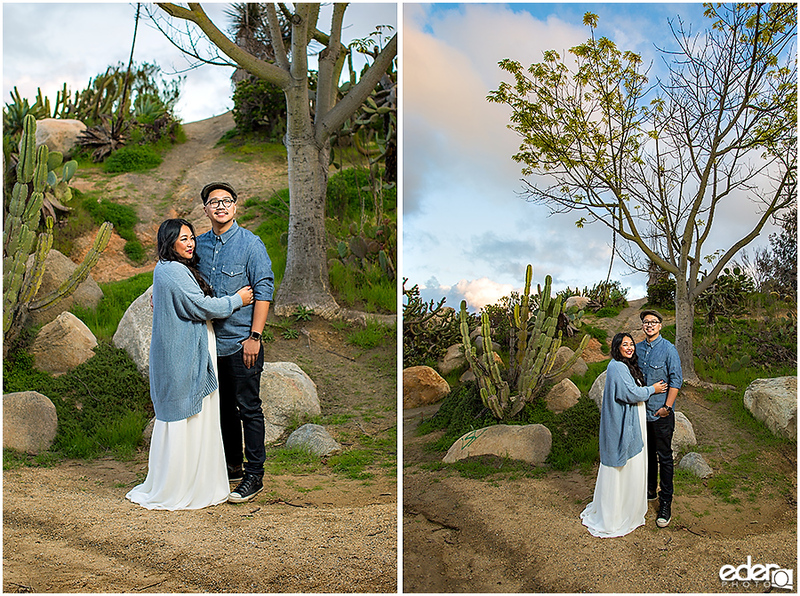 Artistically it is some of my latest work that I am most proud of. 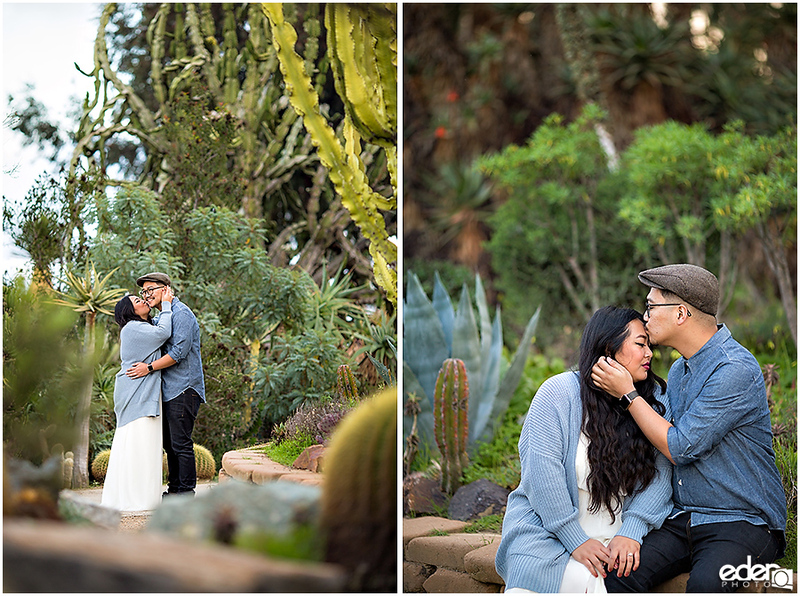 But beyond that and the cool locations we went to on their extended session, it was more about them and what they brought to their session. 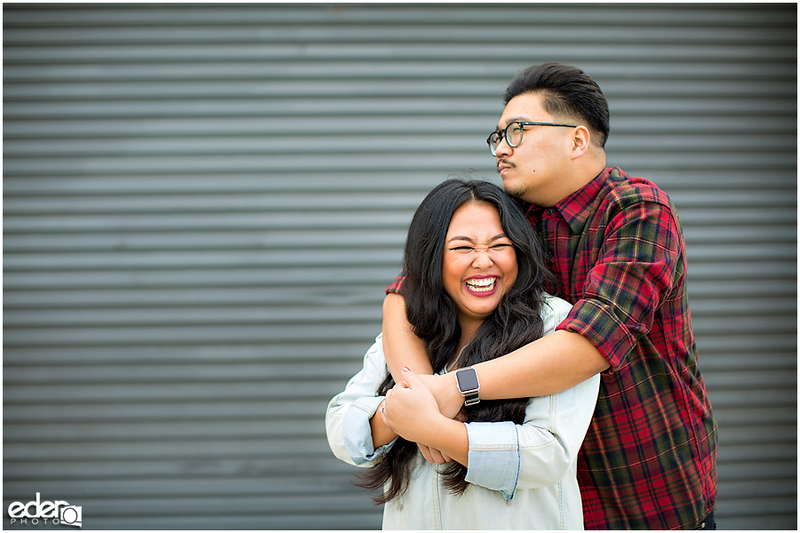 They brought the fun and their personalities. 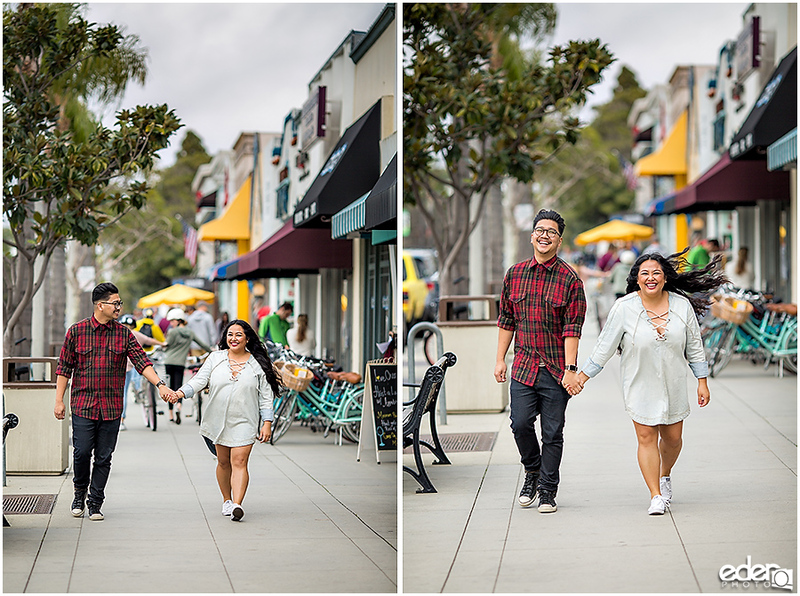 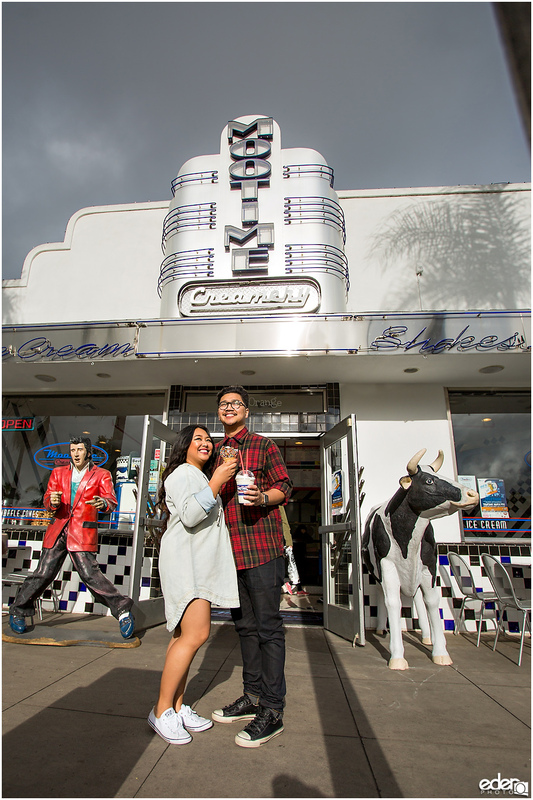 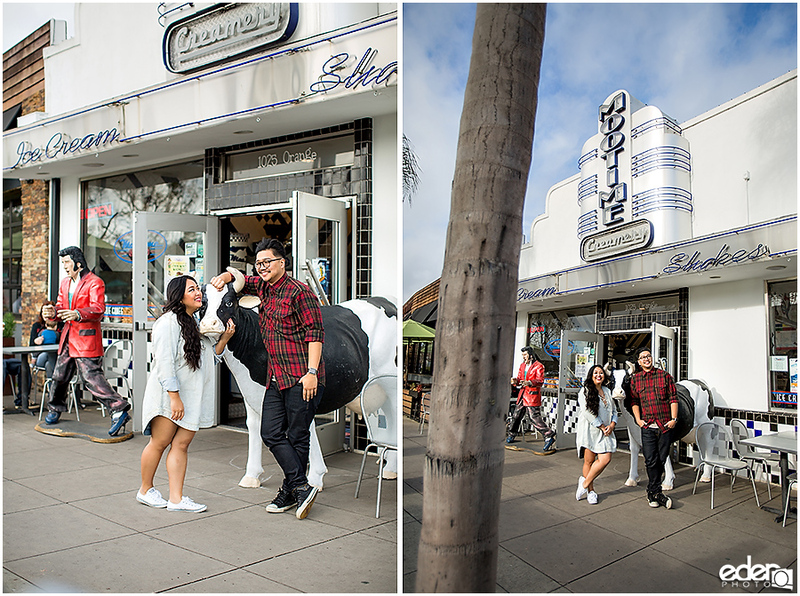 We started off in downtown Coronado, walking around Orange Avenue. 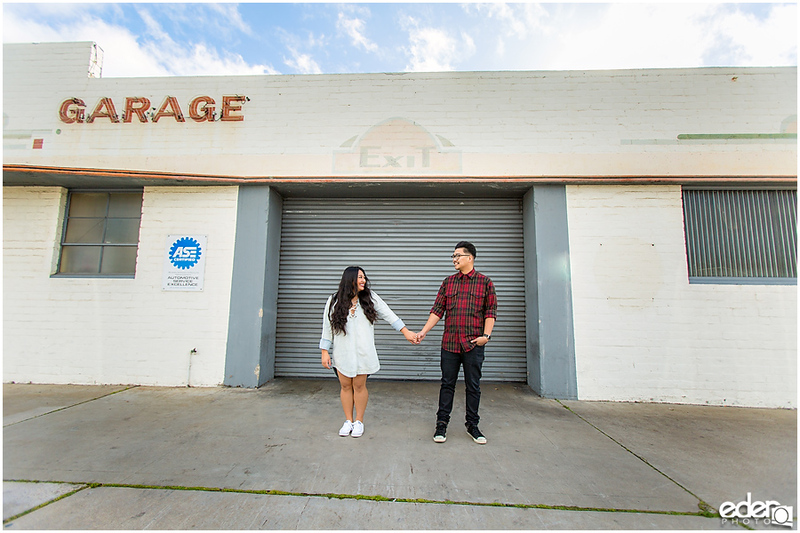 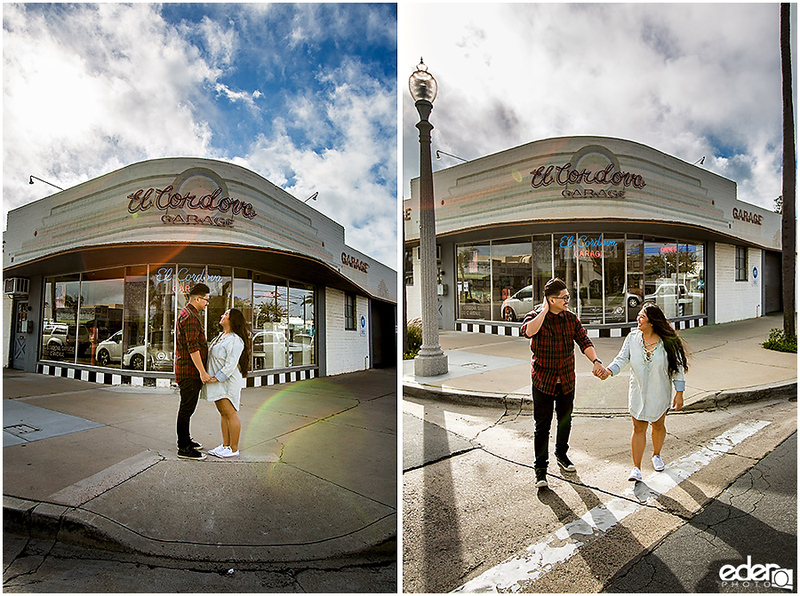 There we found some cute businesses like a garage and coffee shop that made for some interesting backgrounds. 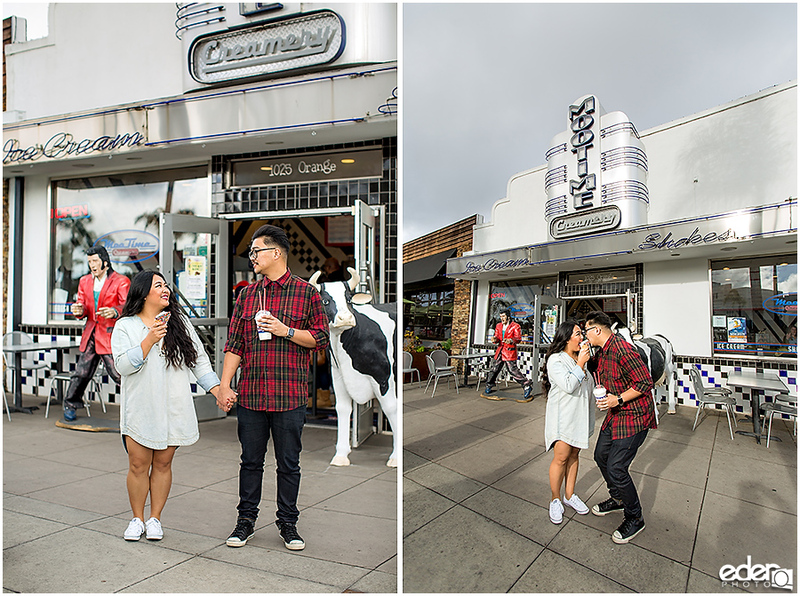 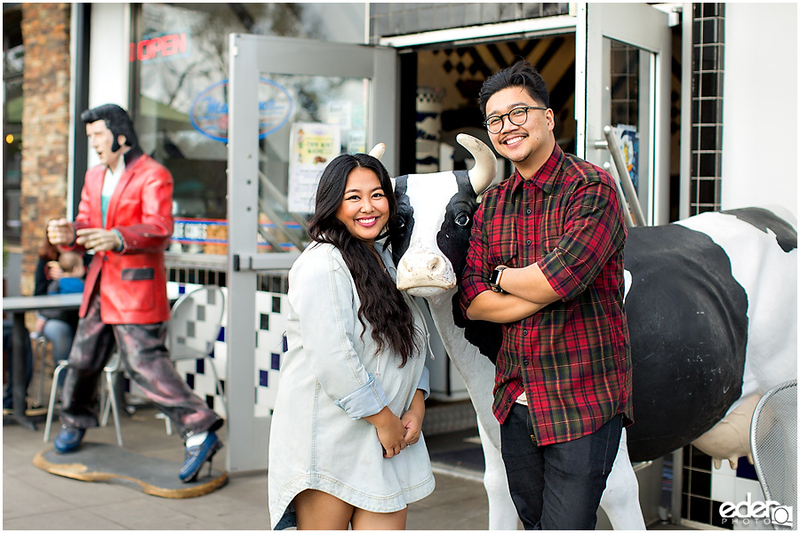 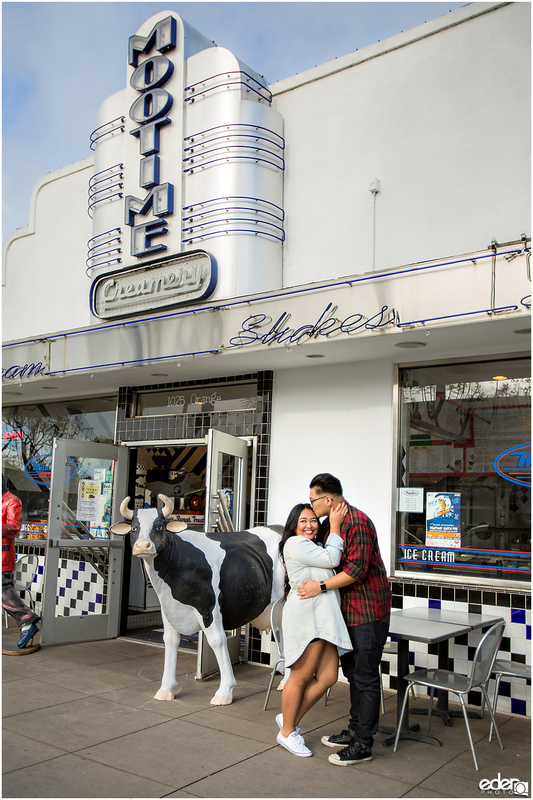 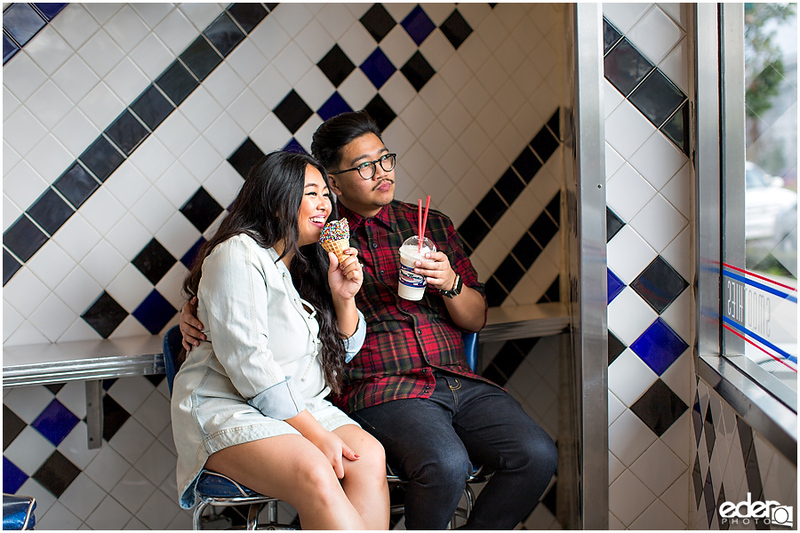 Then we walked over to one of their favorite date spots, Mootime Creamery, to get some ice cream. 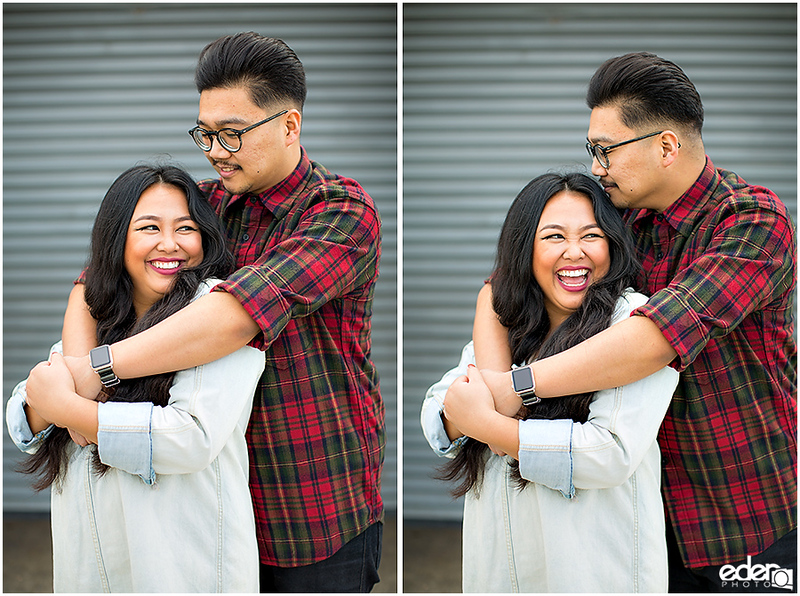 From the first shots in front of the garage door, they instantly warmed up to the camera and their personalities came out. 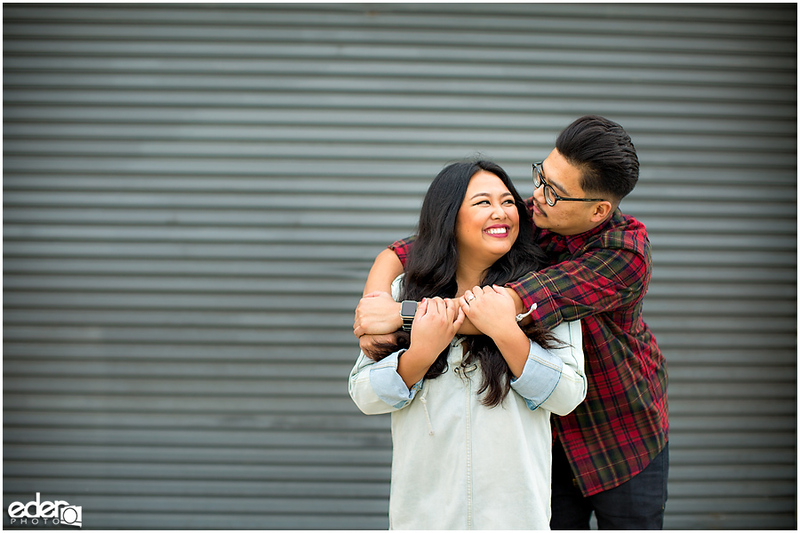 They became instantly became playful with each other and showing that dynamic in their relationship. 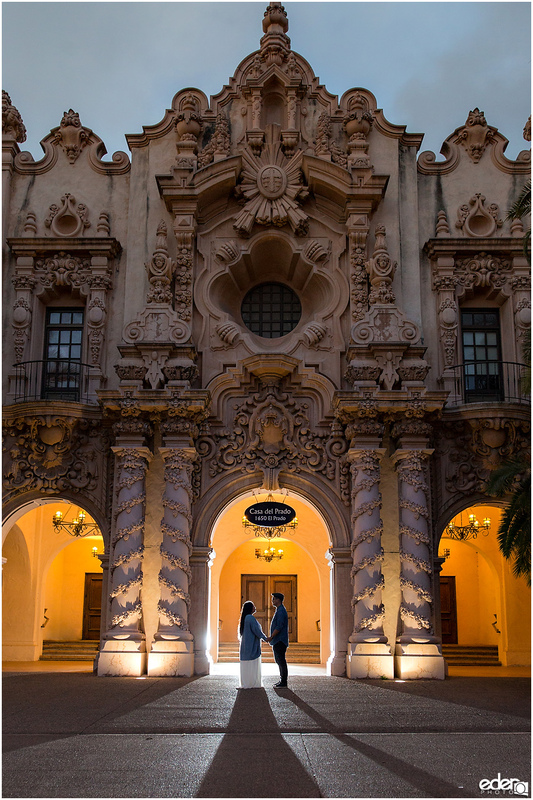 We then headed over to Balboa Park for a walk around the Cactus Garden and down El Prado between the historic buildings. 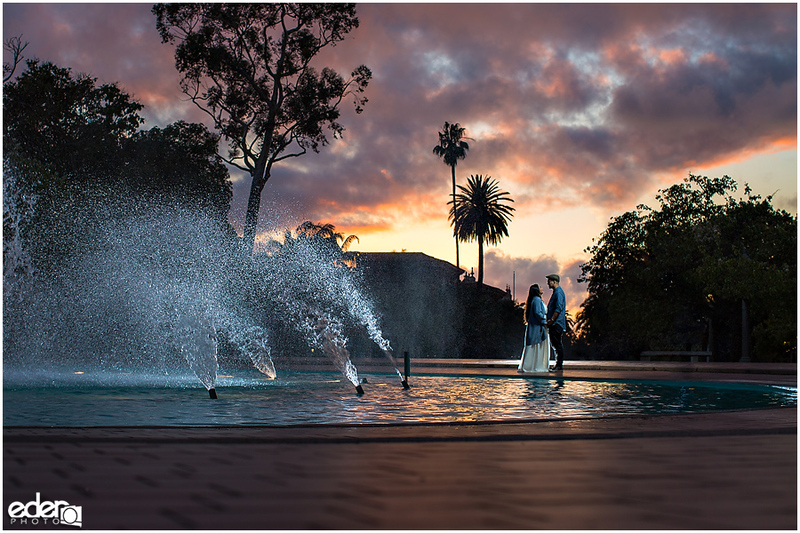 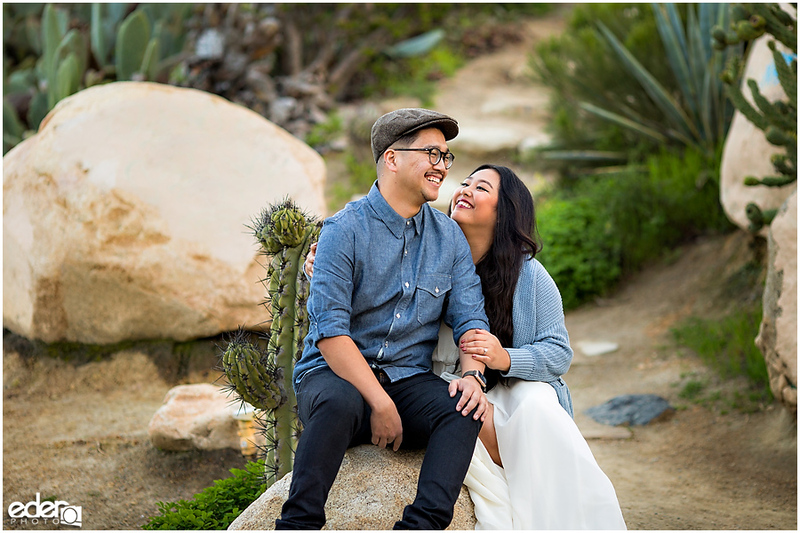 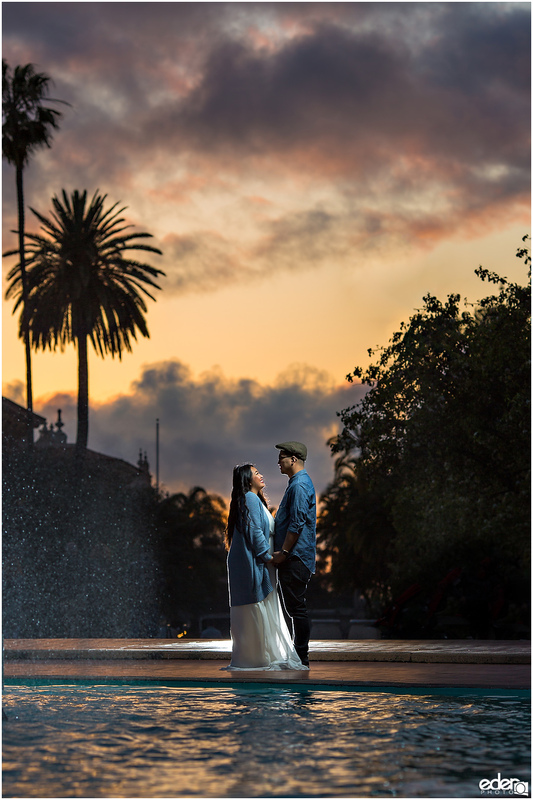 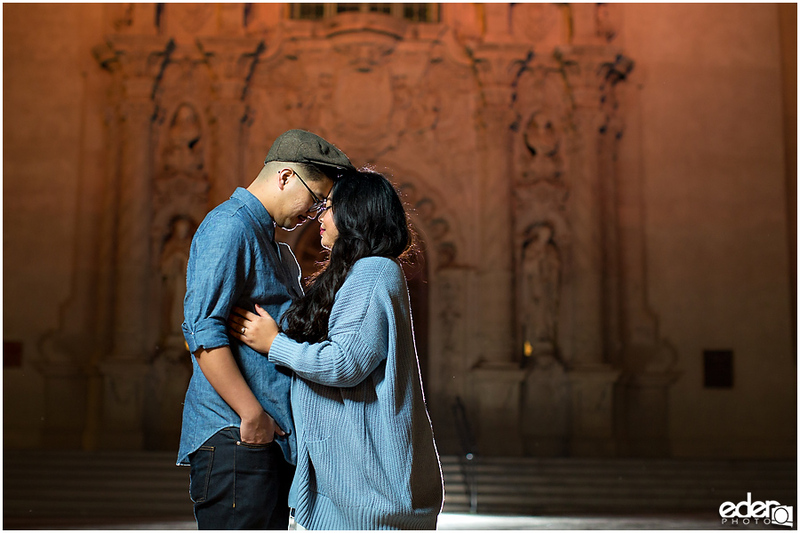 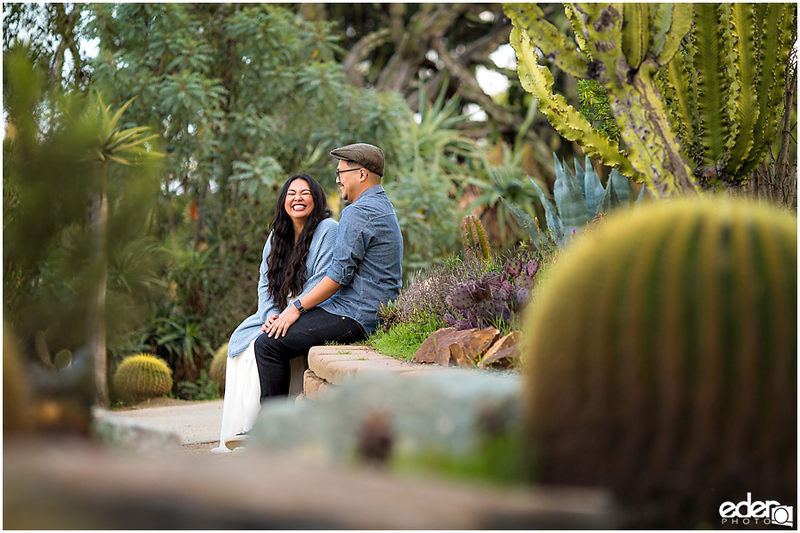 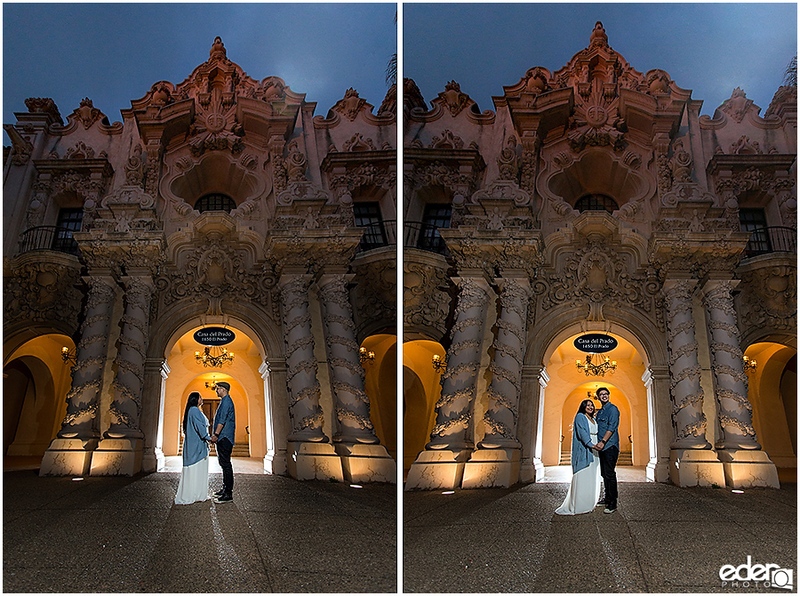 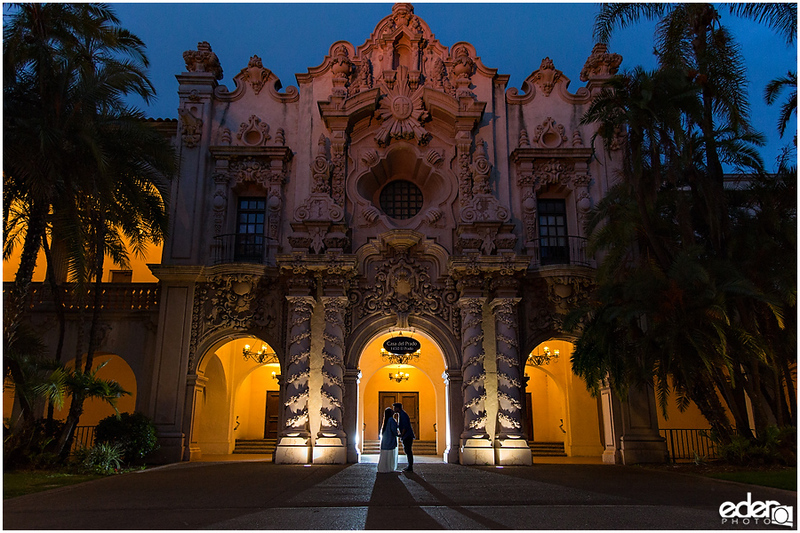 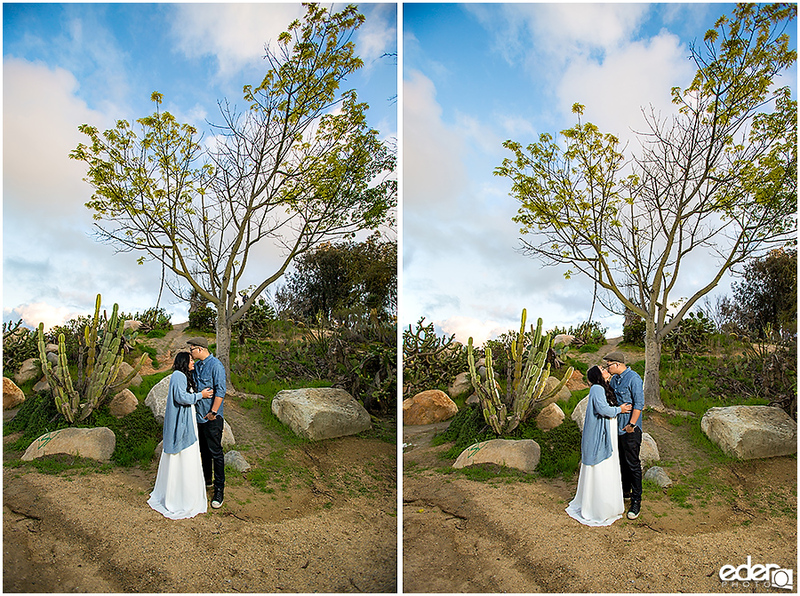 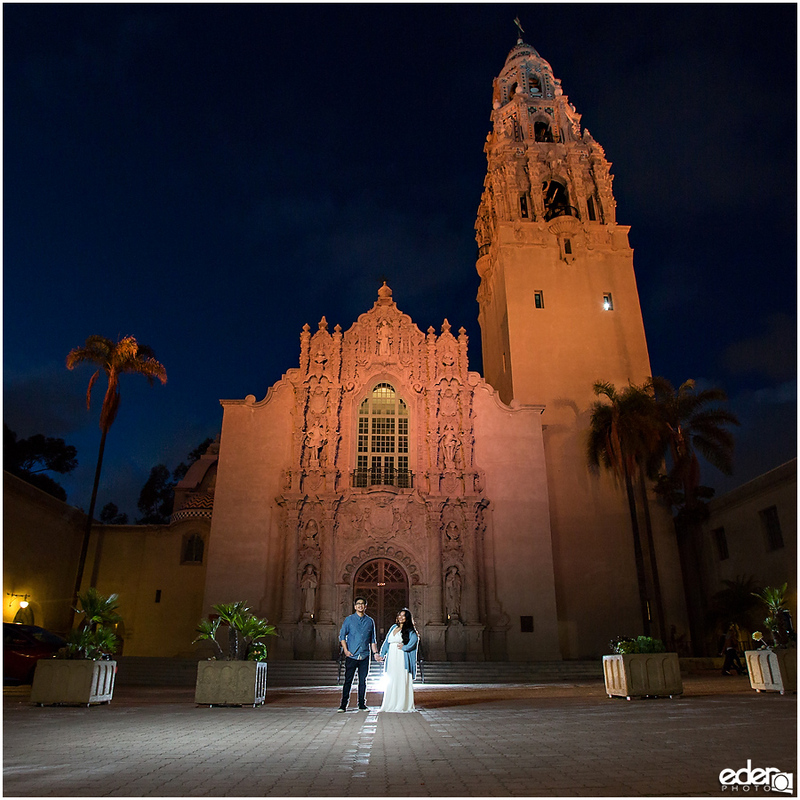 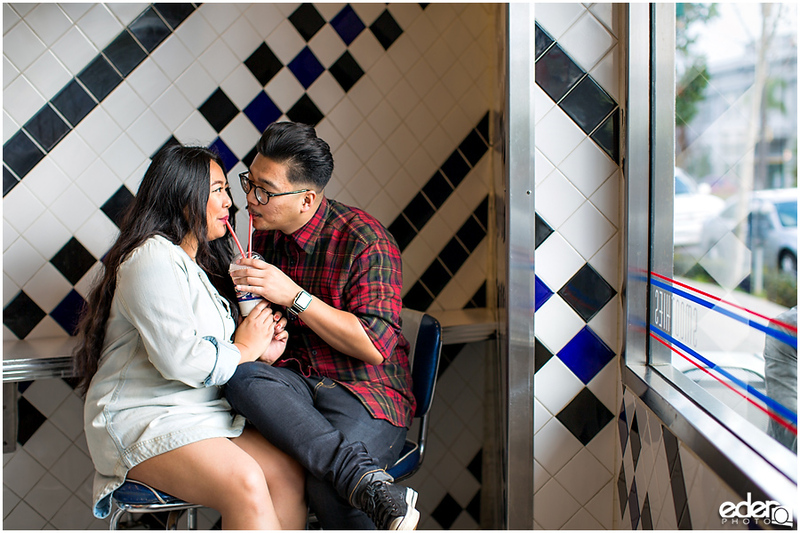 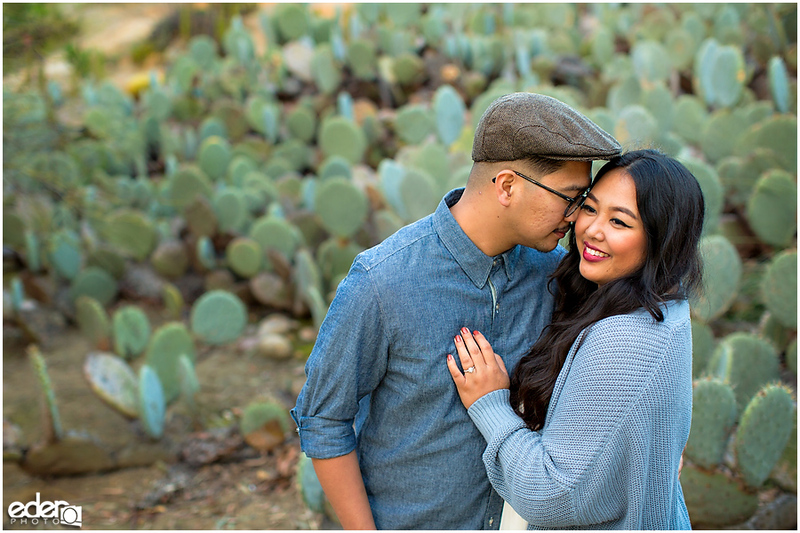 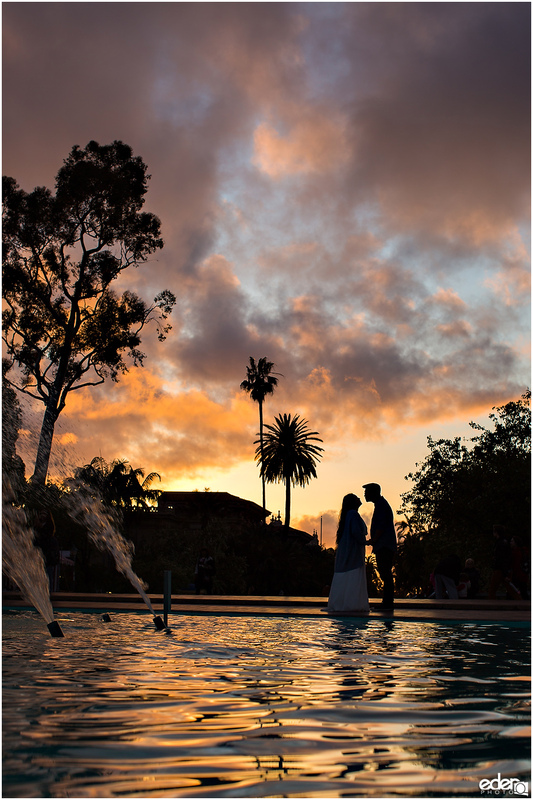 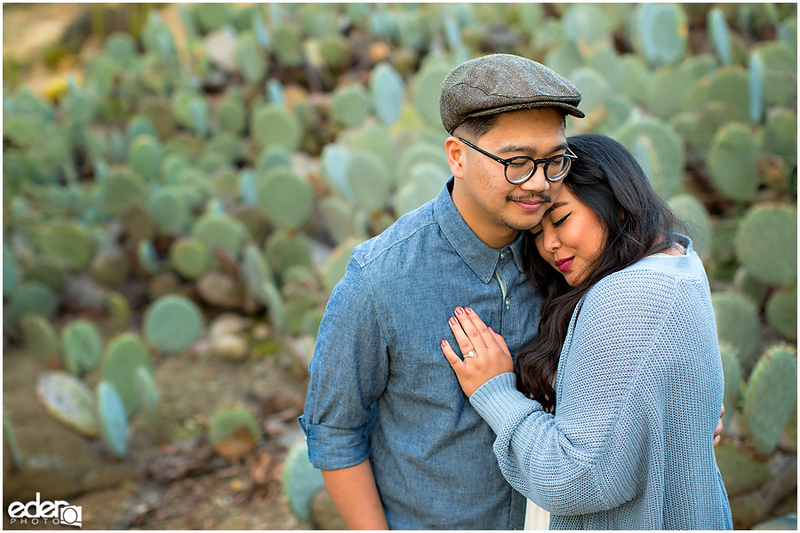 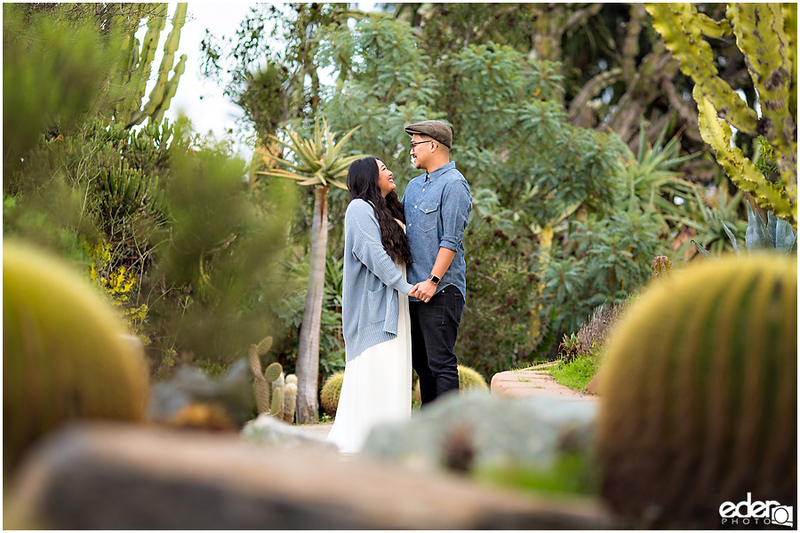 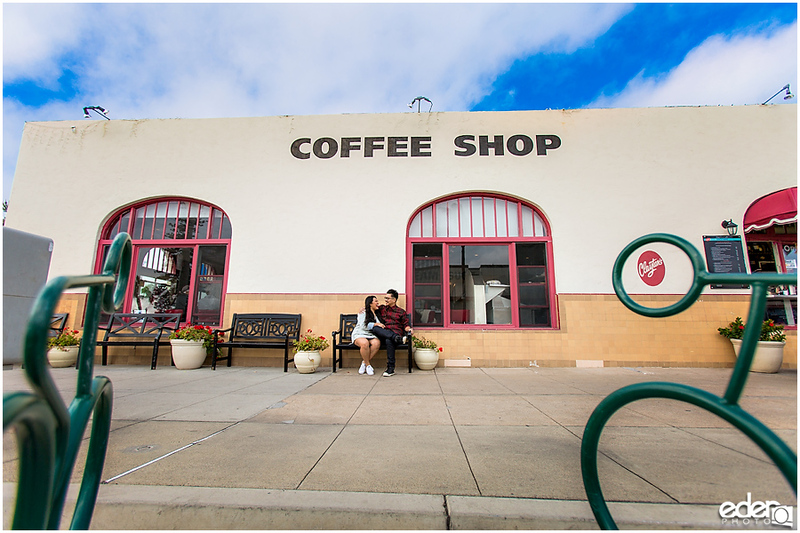 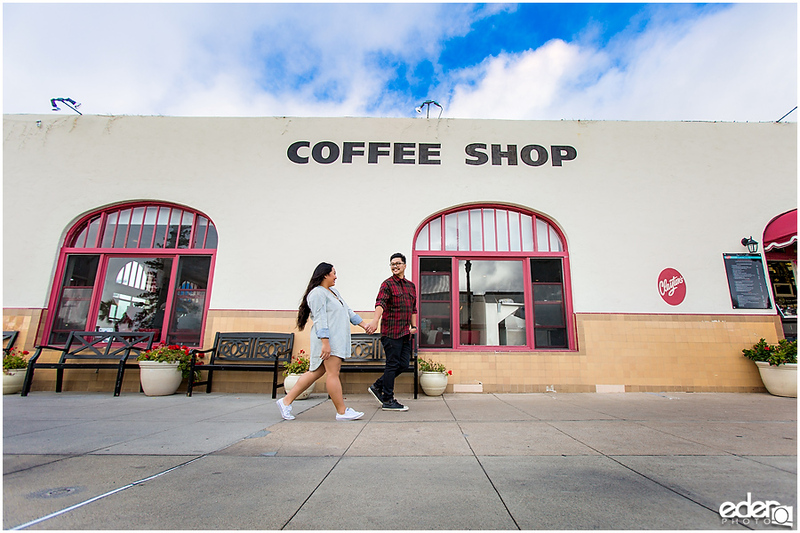 One of the things that they told me they loved about Balboa Park was the architecture, so it was my goal to create some artistic engagement photos that would show it off. 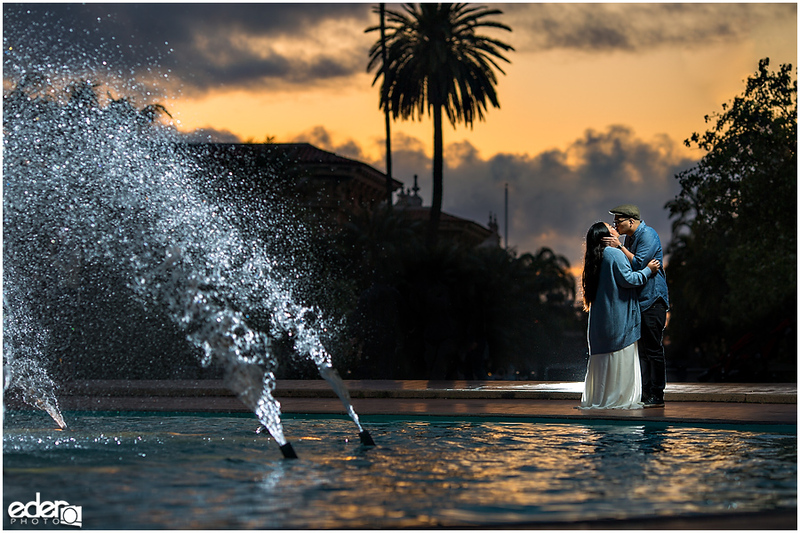 We got lucky with the timing and walked up to the fountain right as the sun began to set and the uplights on the building began to turn on. 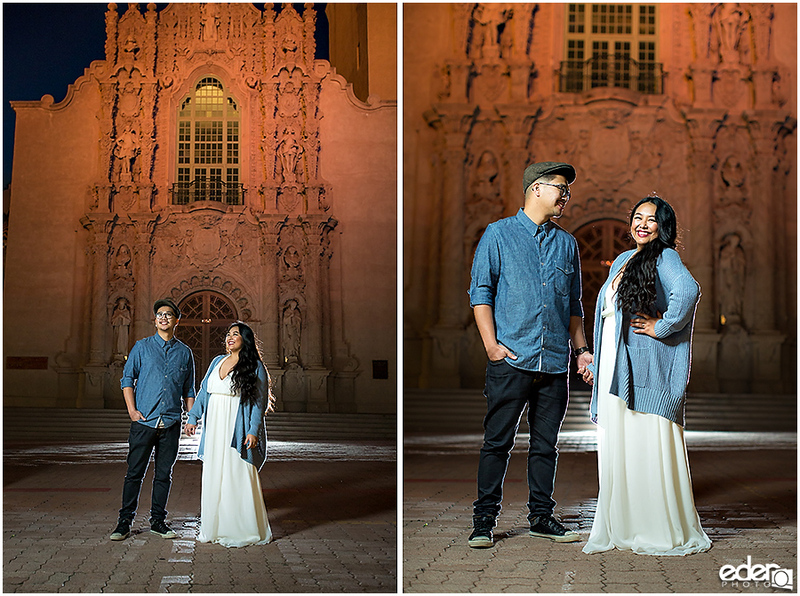 As we walked through the park I kept asking them if they were up for one more shot. 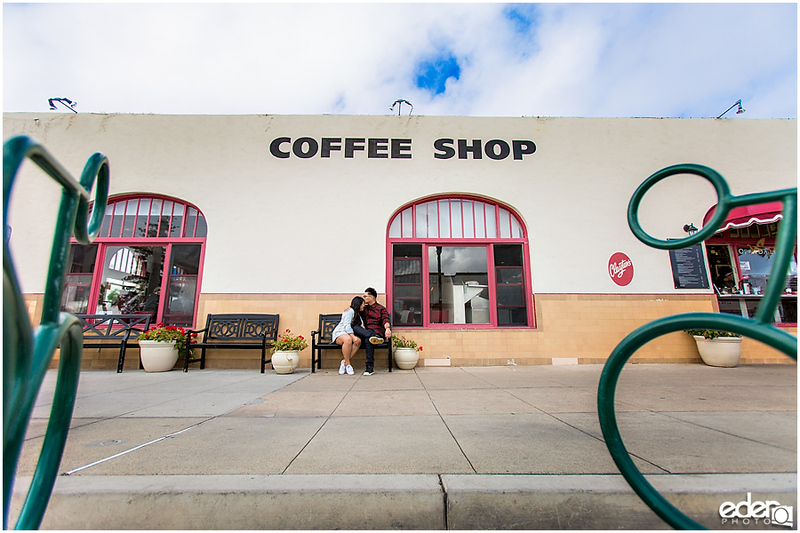 It while I felt like we had captured great things already, I felt like there was that other great shot just around the corner. 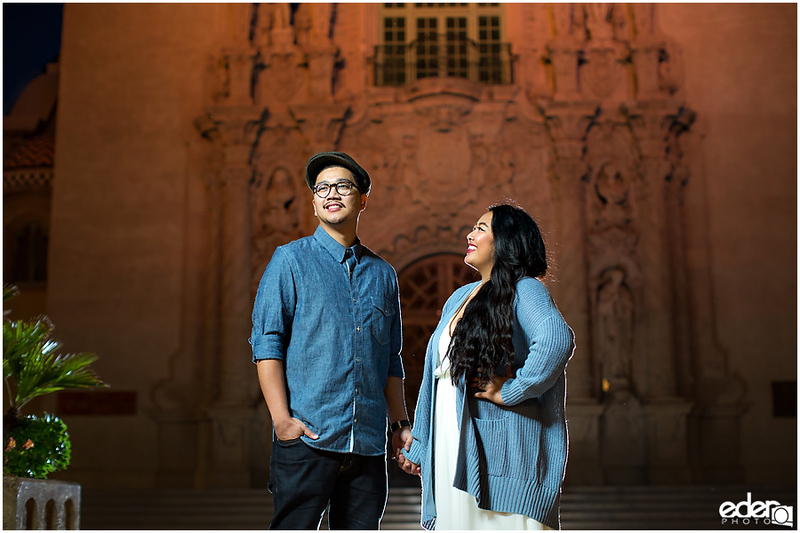 They were very much up for it and what it took to work through the creative process. 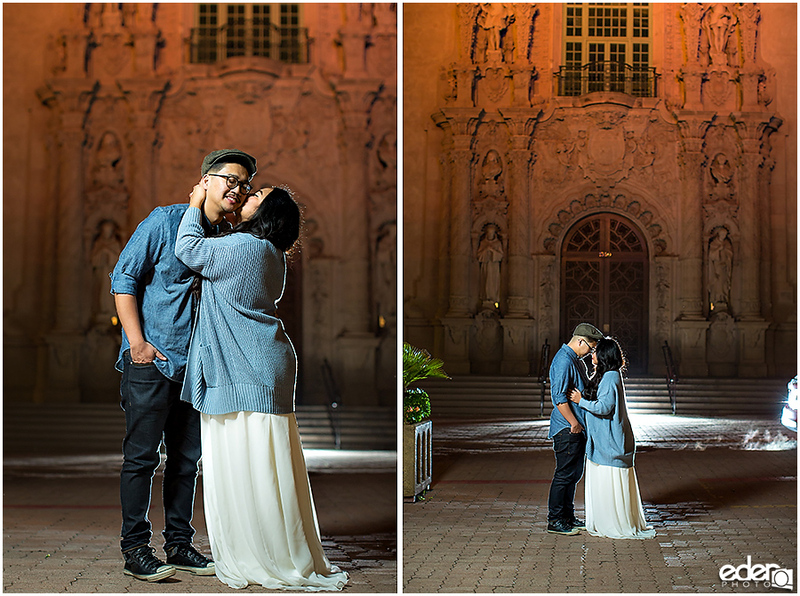 Ariel and Ben were awesome and I am happy in what we were able to create together.